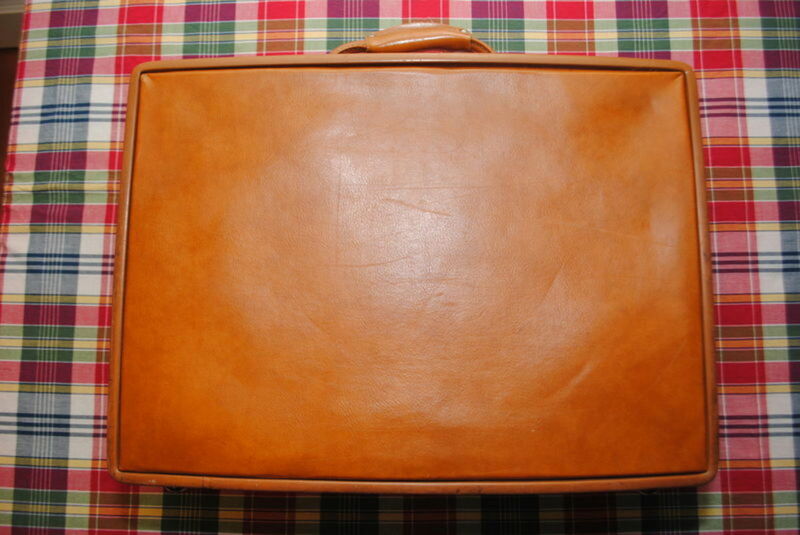 This briefcase, labeled "genuine leather" is not made of top-grain, full-grain, or belting leather. 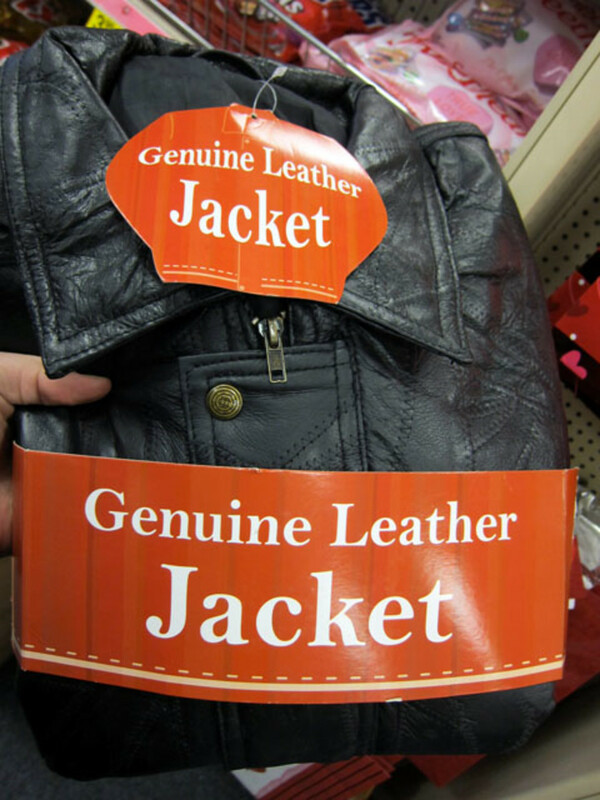 It is labeled "genuine leather" to avoid referring to it as "split leather." If you are in the market for a leather business case, attaché case, or travel bag, and the label reads "Genuine Leather," this is a "buyer beware" signal, because that label is telling you what the product is NOT. It is most certainly not full-grain, top-grain or belting leather. The fact is, the label "Genuine Leather" is purposely ambiguous, and meant to mislead the consumer. "Genuine Leather," on a tag on a piece of luggage, means "not-the-best leather." It may mean "split leather." The typical leather hide is split into two parts. The surface layer, the layer closest to the animal’s hair, is called the top-grain layer. The lower layer is called the split layer. In our industry, full-grain leathers, which include both layers, are the most desirable. The natural markings on the hide are attractive, and so it is not necessary to correct the surface appearance of the leather in any artificial manner. Top-grain leather is slightly less desirable. Split leather is much less desirable. Premium grade belting leather takes on a rich glow or "patina" as the leather ages. In fact, if properly cared for, belting leather improves with age! Belting leathers are the most premium level of full-grain leathers. They were developed in the industrial age as a source of belts to turn pulleys, which gives you an idea of their impressive durability and performance. 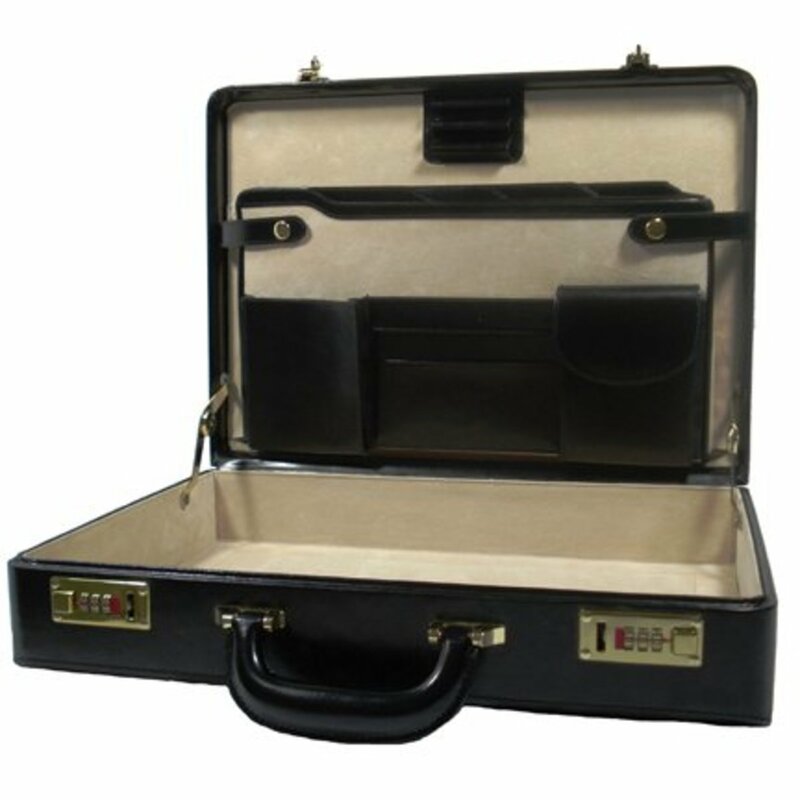 Today some of the finest personal leather goods, business cases, and luggage products are offered in belting leather, for the consumer who is looking to enjoy a product for an entire lifetime and then pass it on to their child. Full-grain and top-grain leather are about equally durable, but full-grain is higher quality. When a hide has a lot of scars or insect bites, these undesirable markings may cause it to be classified top-grain instead of full-grain. The surface may be "corrected" to hide these marks and give it more appeal; it may be buffed, sanded, plated, or embossed with an artificial pattern. Some of these patterns are meant to simulate the best full-grain leather markings while other embossed patterns make the hide look like genuine alligator, ostrich, snake, or lizard. Split leather is more affordable than top-grain or full-grain leather and consequently has many applications. It is the underlying layer that is split off from the surface layer. Because the split layer doesn't have the marks or scars that give the hide the natural look of leather, it can be much more difficult for the consumer to tell whether the product is leather or synthetic. Also, split leather is never as durable as top-grain or full-grain leather, and your split-leather product will not last as long. There are many ways to give split leather a desirable appearance. The most common is applying a polyurethane coating, along with plating or artificial markings to simulate the better product. Naturally, a split leather product will be far less expensive than one of full-grain or top-grain leather. I recommend trading up to at least top-grain leather if it fits in your budget. An example of bonded leather, often used for Bibles, inexpensive photo albums, and journals. The next step down in quality is bonded leather. This has many applications as well. Bonded leather is to leather what particle board is to wood. Particle board comes from waste wood products sprayed with liquid resin or glue so they can be used in place of more expensive wood to create products like shelving or inexpensive furniture. Likewise, bonded leather comes from the collected waste products of leather processing, reconstituted to create a less expensive alternative to better leather. Bonded leather is also embossed with natural leather-like texture to give it more appeal. 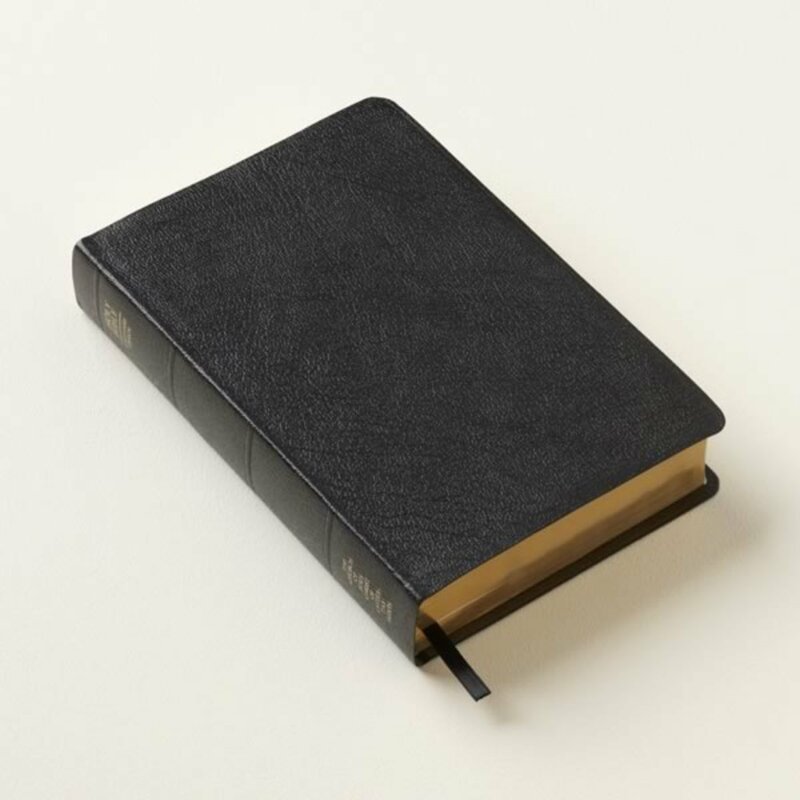 Many affordably priced Bibles, book bindings, diaries, photo albums, and slim pocket agendas are made of bonded leather. When you buy something made of leather, I recommend that you ask the sales associate to tell you what kind of leather it is. If they can't say this with confidence, you might ask to speak to another associate with more product knowledge. If none of the associates can tell you, you may be in the wrong store. Training is readily available in our industry, as the Travel Goods Association (TGA) provides a comprehensive course that allows a sales associate to become a product expert. In any event, if you see a "Genuine Leather" label on a product you are thinking of buying, you now have the education to make an informed decision. I must respectfully disagree with Adam’s comments. As a leather goods product developer and importer for well over 30 years, I always make a point of defining the leather. Whether it is a licensed product, well known branded product, or private label (house brand) I accurately define the product and country of origin. If the product is Calfskin, Sheepskin, Cowhide, Lambskin there is definitely appeal and advantages to define as such. Those manufacturers who choose to do otherwise generally do so because they generally have something to hide! Thank you Legioona, I always appreciate good humor! My question...is which parts of Asia? Genuine is an animal with a plastic skin that lives in some parts of Asia. Your article is nice and informative, but misleading at parts. The term genuine leather doesn't necessarily mean it's bad leather. It can be aswell top grain and full grain. It's just not labeled specific enough. No tag these days says full grain leather, they all say genuine leather. Especially when it comes to leather jackets and fashion items. May it be the 200 dollar Zara jacket or or a 4000 dollar saint laurent jacket. They all say genuine leather ,or best case scenario they state which animal the leather came from 100% lambskin, calf skin etc.. But I guess it is still made from animal skin. Can you suggest any good alternative? Similar to Gold and Golden, Golden meaning not Gold. It is really helpful information. No wonder, when walk-in to a store, the sales person told me it is not 100% leather when product tag 'genuine leather' and recommend me not to buy if i'm looking for a lasting product. But sales person not able to explain further. This information has helped me figure what is going on. I have seen Tory Burch and Talbots bags labeled "leather," but they don't seem at all like leather. All the seams are hidden and fused. No suede shows. Trim on a Talbots bag held back revealed a dotted bonding fabric. Could it be they apply the thinnest veneer of leather cells to the fabric and call it leather? Was that what you were saying? That they take leftover scraps of leather and mash them up and spray them into a layer? Thanks! Emialoha, I am delighted to hear you found the article helpful. Thank you for your thoughtful comment. Good info bro. I have learnt a lot. Lori, thank you for your kind comment. I'm sorry to hear that you had to learn the hard way. Unfortunately, there is a great deal of ambiguity when describing leather. I frequently see inaccurate descriptions that are quite misleading. Hope you have luck selling your camera bag from Japan! Wish I had read this before I purchased my "vintage" leather camera bag on Ebay. It looks and feels like cardboard and was made in Japan. Looks like $#@* up close, but great in the photos that were posted in the auction. The pics you've posted here made me see the difference in quality. Hopefully, I'll be smarter next time. Does anybody want to buy a "vintage" leather camera bag from Japan? It looks brand new and probably is. lol. The worse part in the leather industry is that consumers are not aware how animal's are skinned alive for the product they buy. The leather industry does not tell you that the bag, wollet or any other item made from animal skinn is the crying skinned alive and tortured to death living kind that died so that a humanbeing can go around showing off their item made with skinn animal, because at the end the leather no matter genuine or belting leather it still comes from an animal that was killed for it, the worse part the animal was tortured and skinned alive. That is way i do not buy products or items made from animal skinn. You shouldn't too! Hi i recenty bought a sheep skin leather jacket at zara. I asked store staffs whether it was geniune leather, top grain leather or full grain. To my surprise they didn't know which grading it was. I checked the jacket's washing instructions in interior lining. There was no indication of what grade it was. The jacket was about 296.39usd, so i guess it would be too cheap to be top grain, right? Attached to the comment is link to the zara leather jacket. I hope you can help me shed light on exactly what grading of leather it is. Thank you. Hi Sanjay, I honestly can's say that I have ever hear the term 'breathing leather'. I have heard the term 'belting leather', which refers to the finest of the full-grain leathers. In fact, in the Industrial Age, the 'belting leathers' were the leathers strong and tough enough to use to turn pulleys. Naturally, a split leather or inferior leather would tear or fall apart if used for this application. If you meant 'belting leather' than my answer is yes Belting Leather sometimes is referred to as 'full-grain' leather, but generally not 'top-grain'. Thanks for your question Sanjay! Hi Nadine, the country of origin generally has no bearing on the composition. I'm sure if it smells like leather, it must be leather. Normally, you can find a tag in the inside of the bag that identifies the material as well as the country of origin. Many quality products (Wallets, Suitcases, Duffels, Backpacks, Handbags, Shoes & Clothing) are made in leather and do come from India. However, like other countries the range of quality of leather is quite diverse. I believe full grain and top grain leather is also refered to as breathing leather. Dear Stelahogard, thank you very much for your kind words, I'm glad to hear your found the article helpful! great post!that was an awesome article. i really appreciable.thanks! I'm not sure I understand your comment. Are you saying that you and your wife are resistant to buy a leather product? My spouse and i accustomed to acquire high on lifetime but these days I've truly built up the resistance. I google the definition of "Genuine Full Grain Leather". This is genuine leather or full grain leather? I am confused by the describation of this product. Hi Denny, sorry for my delayed response. Unfortunately, I am not familiar with laws pertaining to leather descriptions in the UK/New Zealand. Some of these regulations actually start with assertive manufacturer's in the industry. Obviously, those that work with the finer leathers have a vested interest in distinguishing the difference between the various grades of leather. Deception in terminology ultimately hurts the consumer. This is why I applaud any manufacturer that is active in working towards setting standards that are strictly enforced. Most importantly establishing consequences for those suppliers that are in violation. Good luck, I'm sorry I couldn't offer more help! thank you for the informative article! I am an intern researching leather for an accessories firm and wanted to find out if you can point me to info on UK/New Zealand laws regarding mention of leather? From your article, it sounds like they are a little more strict on usage of the word leather especially with the use of split leather? any info would be really appreciated. Cheers! A leather tannery selling hides will always be specific with the type and grade of leather. The tannery will specify whether it is a full-grain, top-grain, split leather, bonded leather, etc. They will indicate if it comes from the animals sides, belly, etc. If the leather is corrected, split or bonded, they must represent it accurately. If your local supplier can not be more specific than to say it comes from Italy, I too would be skeptical. Let them show you the documents. If they are resistant, perhaps you should go to a raw materials trade show and purchase the leather yourself. If you are working with trustworthy manufacturers, it is not uncommon for them to work with a tannery of your choosing. In other words you personally source out the raw materials and then you put the tannery in direct contact with your manufacturer. I hope this information helps. If you get the opportunity, you might also want to visit a Tannery, many offer tours and by the time you take this educational tour, I'm sure all of your questions will be answered. I'm working @ retail and always wondering how that leather belt is soooooo affordable. Now I understand why! Dear Shabbier, it appears you own a leather tannery. I will be responding directly to you via email. Please look out for my response. Thank you. Thank you for your question. The leather marking on the product alone does not determine whether the product is an original or counterfeit. The best way to make this determination is to take your Dolce & Gabbana clock to an Authorized Dealer and have them make the assessment. Unfortunately, the branded names are frequent victims of counterfeit reproductions. I have D&G clock and typing the Genuine leather.. And one question.. This is orginal ? Authentic Leather sounds like an intentionally misleading term as well. 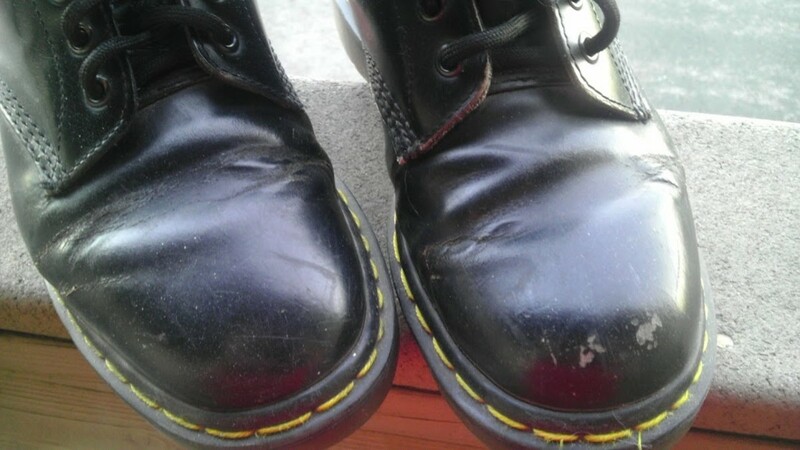 Another important consideration is the lining and soles of the shoe. Many synthetic materials are not porous and will not breathe. Leather lining and soles is always my personal preference. Yet, there are materials such as gortex that absorb moisture and keep your shoes dry and odor free. Thanks for your question! Hello, this is an informative article! But I would like an opinion. I came across this pair of shoes which says "Authentic Leather" in Zara, is it worth buying? As in I'm afraid it will develop a foul smell when it gets wet in the rain or something like that. Thanks! Thanks for your comment! I've seen several belts that are either bonded leather or split leather which are $30.00 and below. However, $70.00 should buy you at least a top-grain belt. Your comment is a perfect example of how the term 'genuine leather' should send up the red flags of warning. The filler material on most belts are fiber, and can look like cardboard. This is common to give the belts form and structure. I believe your belt desintegrated because it was a low quality bonded or split leather. Thanks again for sharing! Any thoughts on why i paid over 70$ for a Guess belt in a Guess store stamped genuine leather, n it started falling apart its filled with paper or card board. IS THIS NOT FRAUD? even the store staff said its a knock-off? until they scued it n proved they sold it. Ankur Jarora, thanks for your comments. I actually import leather goods from India. The manufacturing is in Chennai and Mumbai and in fact my supplier actually has the facilities to finish the hides. No doubt, India has a wide selection of fine leathers, including full-grain and top- grain leathers. Of course, they also have lower priced split leathers. Most of my products are limited to wallets, business cases, luggage, travel totes and leather backpacks. My supplier does produce products in your domestic market under the name Hidecraft. 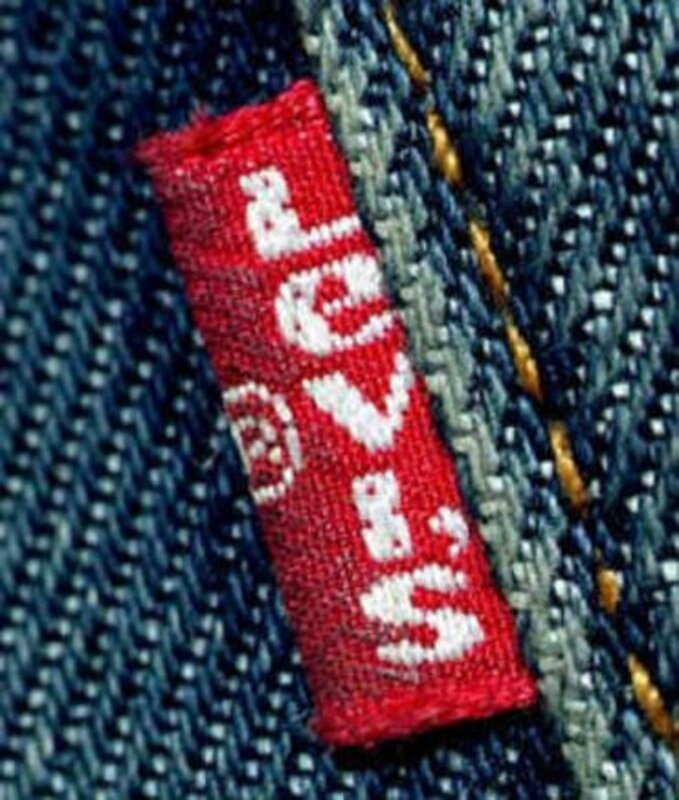 Although, many of their products also are private label names produced exclusively for quality retailers. I live in India. India is traditionally a very low margin and high volume market. Its ironical that 1/3rd of leather is produced in India. But I can say with guarantee that almost all that we get in the market is sold in the name of Genuine Leather. I have used many leather products like shoes, gloves, wallets, but I have never seen a full grain leather stuff ( except today when I saw leather belts at Levis which had the same colour throughout the cross section which is sign of full grain i guess). I want to purchase full grain leather Jacket in India. What brands do sell full grain jackets in India ( if they at all do given the low margin market India is), else what are the parameters to judge the leather quality ( as I am considering going to some leather manufacturer to get it stiched ). MGV, Good luck on your new business, and thanks for your kind comment! I'm just in the middle of setting up my own vintage wear business so this is really very helpful!!! I am so glad to see that these articles are read world over. How cool to have a reader from Poland, which is where my Dad was born. I can't say that regulations in Poland are the same as that of the United States, yet product that we see in our market identified as 'Genuine Leather' is always the lower grade (generally split leather). Since the vast majority is manufactured in Asia, I believe it is no different in your market. Thank you very much for sharing your story! I'm here by a true accident. I don't like to use wallets but I just pick one from my closet - time to exchange pennies. So, the embossed text on that wallet is "Genuine Leather". It smells like leather, smells the same like expensive furniture in lawyer's agency, so Google invited me to your Hub. If I understood you properly my wallet is at least bad quality leather. That's good to know, because I have it for free. So It looks like cigarrete companies had nice gifts in past time. It has at least 5 years old but looks new. Thanks for you kind comments, I am very flattered to hear that you made an effort to read this article even though your primary language is Chinese. If you have further questions please let me know, and I will do my best to answer. This is so pro, I can't fully understand it. I wish google translate can do a better job into Chinese so I can totally understand it. If the description is 'genuine leather' the quality will not be good! This terminology for leather should send up the red flags. In most instances, the leather will be split or bonded leather if described as 'genuine leather'. If the leather is a better quality Top Grain, Full Grain, Belting, Saddle, etc. it will be identified as such. I would really hope you could elaborate more on genuine leather and on how to see a good quality genuine leather. thanks, that was an awesome article!! This is what I've been looking for to decide whether a leather jacket is right for me. Well, a store tells it's made of "genuine leather" with RRP of over $600, so it must be of good quality. Thank you, I appreciate your comment!